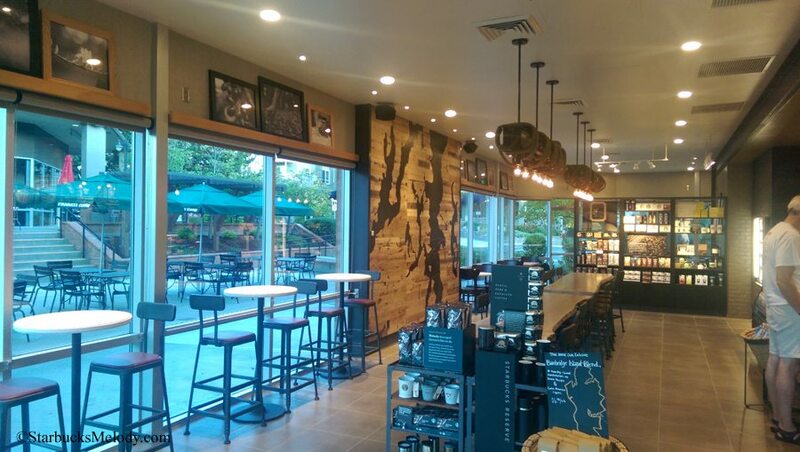 Bainbridge Island now has its first company-operated Starbucks. 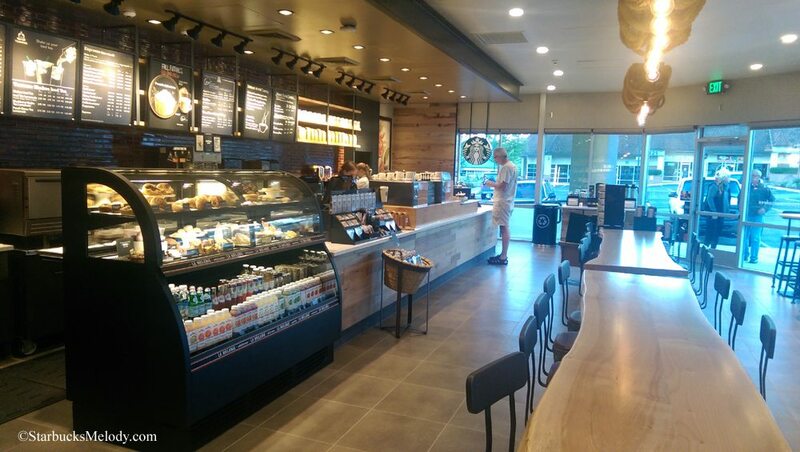 The grand opening was Friday, September 5, 2014. This is truly an incredible store. There are large community tables made with wood reclaimed from Bainbridge Island. There’s a fireplace with comfy seating. The store offers one-of-a-kind for-here ware designed just for this store. 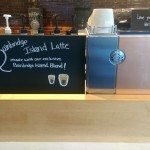 You can get a latte with a shot of “Bainbridge Island Blend” coffee. 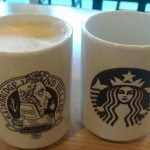 Right now, these mugs are just used as for-here ware, but my understanding is that eventually they’ll be for sale. 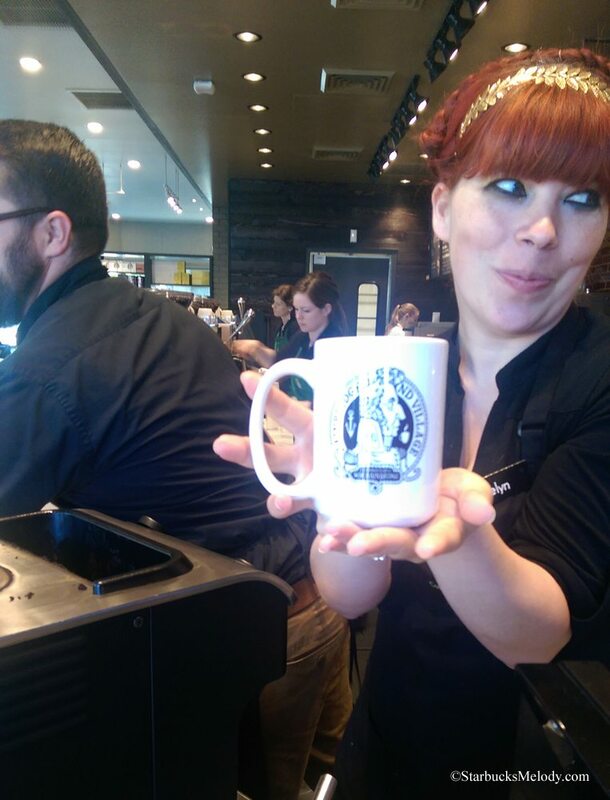 You can order Clover-brewed Reserve coffee and Starbucks barista Jocelyn will give it to you while making adorable faces at the same time! 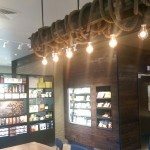 Take a look at how beautiful this store is! 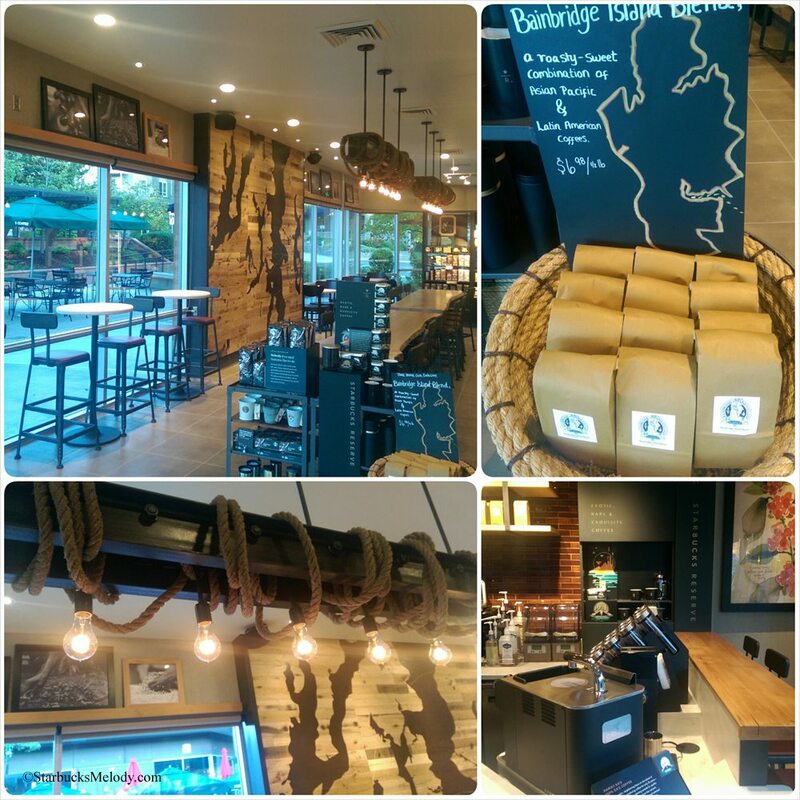 The Bainbridge Island Starbucks is located at 323 High School Road NE, on Bainbridge Island, Washington. The phone number is 206 – 842 – 5463. The official grand opening celebration day is Saturday the 13th from 8:00 AM to about 2:00 PM. I’m not totally sure what the festivities will include, but I’ll be there in the morning. Hope to see you there! 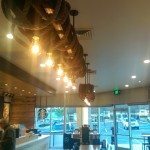 Hope you enjoy your visit to this store! In the past, I’ve mentioned things you must do when visiting Seattle. This is one of them. 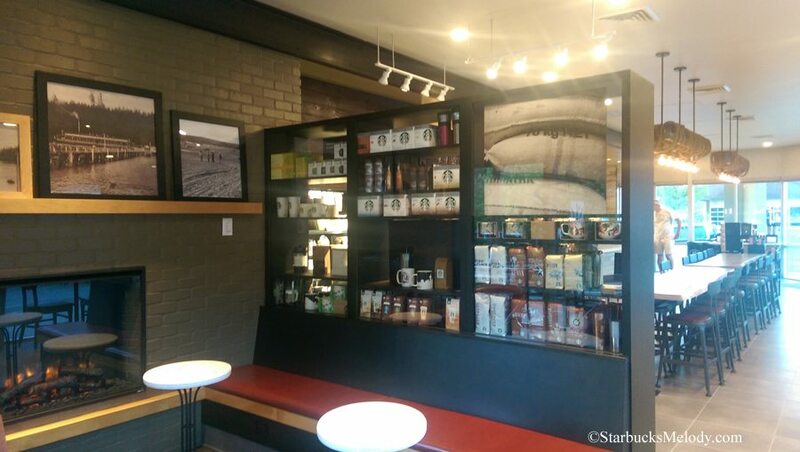 A list of Starbucks in Seattle vacation ideas is here. 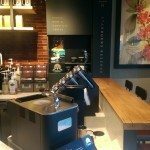 "This is what #tobeapartner means to me"
Go Across the Magnolia Bridge: Find a Great Clover Starbucks. I can actually see myself sitting there and just chilling out! What a beautiful store. 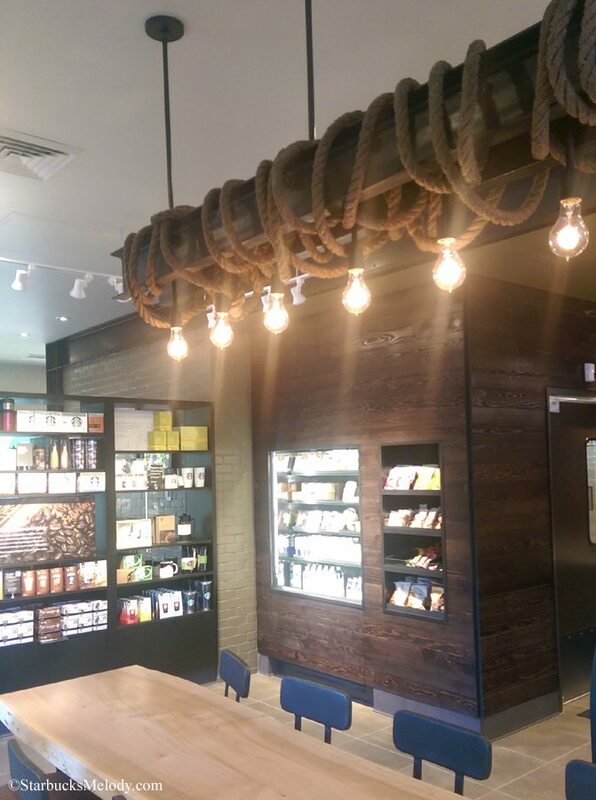 I wish more new stores would adapt their interior to their locations. How long does it take to get there from Seattle? Only by ferry? What a really lovely store. It looks so relaxing! And I love those mugs as well. @Chris and @Purple1 – I’m with you two! I’d gladly sit there with you both and enjoy a cup of coffee!! What a fun looking store. 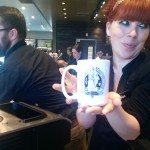 The mugs are great and so is their very own coffee blend. 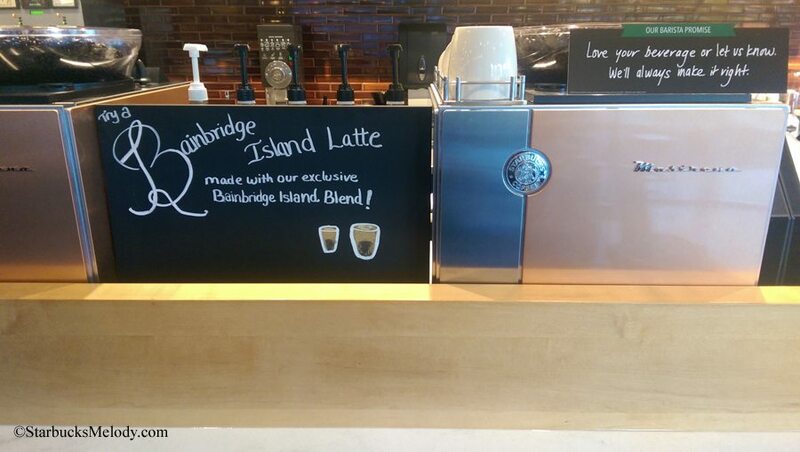 I’d love to try a Bainbridge Island Latte! This store is so gorgeous. I wanna come to Seattle now and just stay forever and ever! 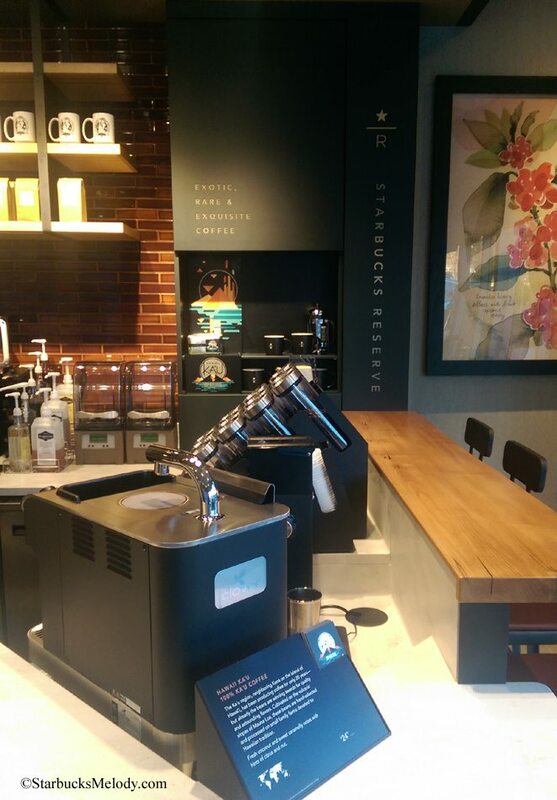 So happy for those partners who get to work in this truly one-of-a-kind store and have their own blend! I. So. Want. To. Go. HERE! You are always such a temptress, Melody! My own personal Siren, if you will…. Such an amazing store! The Starbucks in Waimea on the Big Island used to have a wonderful fireplace much like this one but it was taken away in a recent remodel and the store suffered for it. So happy to see a lovely fireplace in this store to really create that cozy environment. 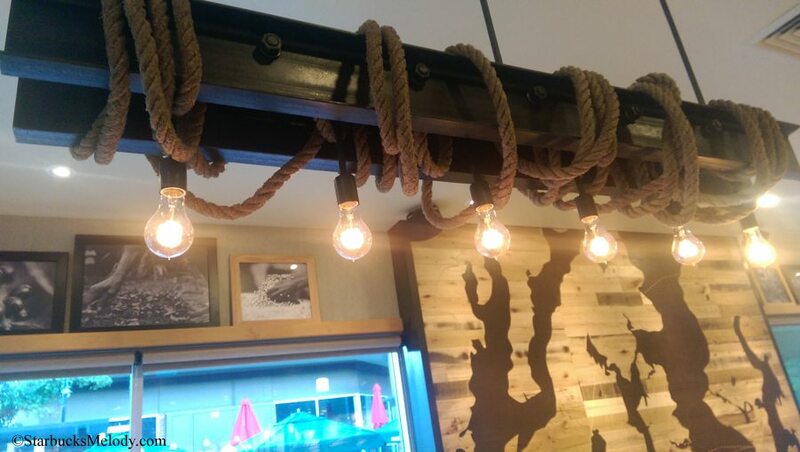 I love how thoughtful the entire design of this store is. Hi, I posted a similar message on Facebook, but have not received any reply. 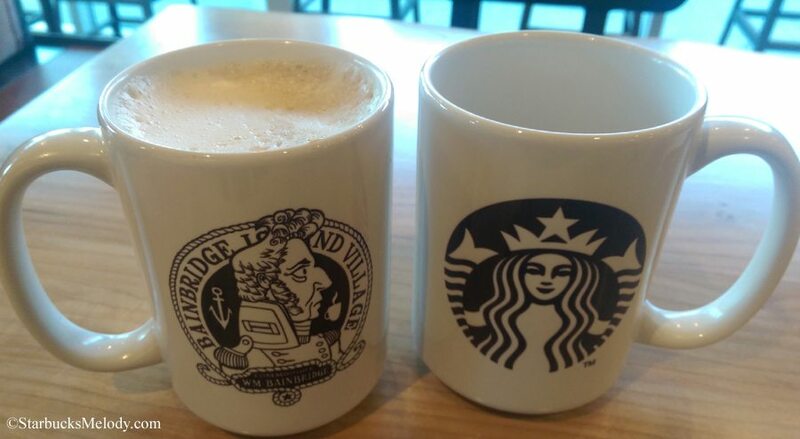 Could someone please elaborate the significance of Bainbridge Island for Starbucks to create a unique mug and blend? I checked out Wikipedia, and it doesn’t seem to impart any relevant information. Thanks! 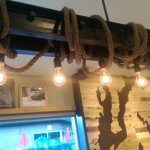 brian, bainbridge island has many rules set in place about what type of business can go there, and in what area. 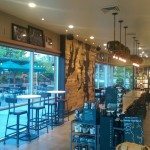 starbucks has been trying to secure this location there since 1998.
for us, being on bainbridge is a big deal, and we were allowed to do things a little bit differently. locally relevant, if you will. 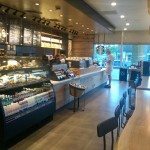 i actually created the blend, and pitched the idea to my sm, who brought it up to the dm/rd. the idea was to create a custom drink for the store, but i thought making a vanilla/toffee nut latte (or whatever combonation of syrups) was too bland and not exclusive. by changing the heart of the beverage, we can offer an exclusive drink to the island. 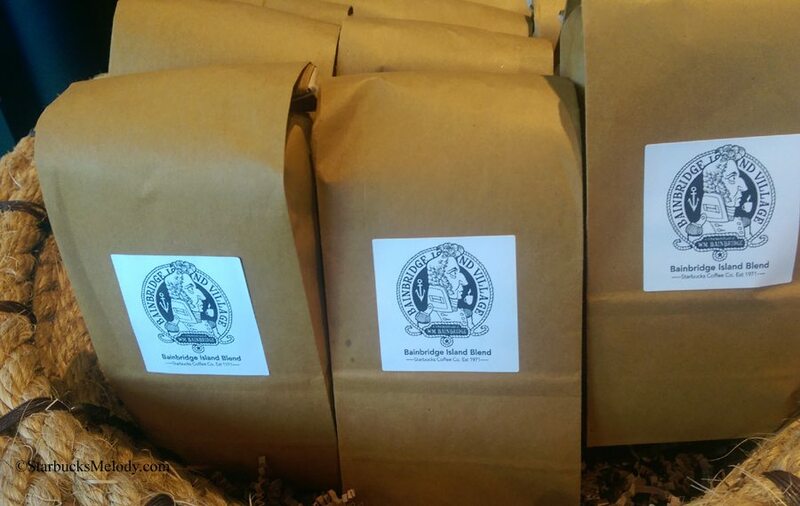 the bainbridge blend is served as shots of espresso, on the clover, and can be purchased in half pound bags. the mugs is another story.. the original idea was to only be used for serveware, but we knew people would want to buy them. so we had some made by a partners husband that lives on the island, and when senior leadership came in, we just kind of threw it out there. they loved the idea, and gave us the green light to sell mugs. we are still ironing out the details. Jocelyn, this is a great story. I really enjoyed reading about your very special store. From Bainbridge Island’s very own blend that you created to having a partner’s husband make the mugs to sell. It’s just amazing. If I ever get to that area of the country, your store is the #1 place on my list to visit. 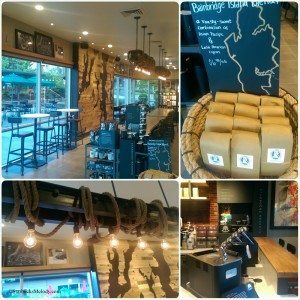 It’s so unique and that is exactly what Starbucks should strive for. Congrats and enjoy your lovely store. on our way there and looking forward to checking this location. Mugs and coffee, yay! 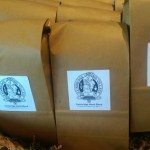 What’s in the Bainbridge Island blend? What does it taste like? I have finally stopped by this store and bought a mug! I am disappointed that corporate made them stop selling Bainbridge blend! I love the fact that this store is tailored to this community! 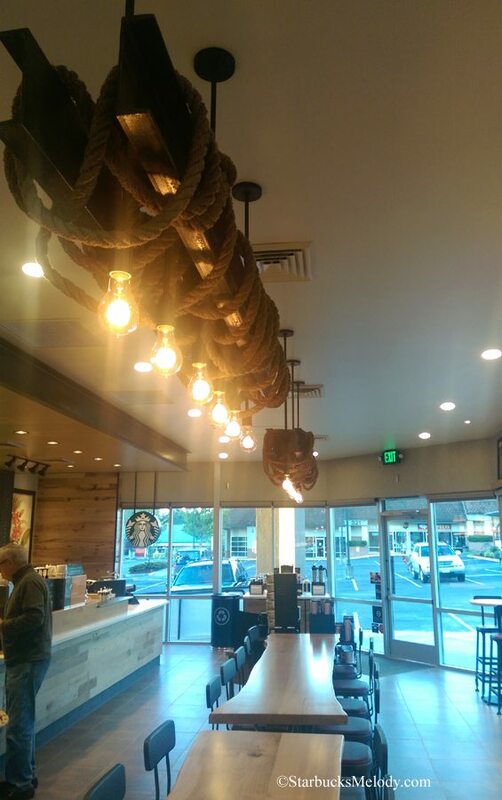 I know that Starbucks just announced a new store in White Center, just south of Seattle. That area while not unique in the way Bainbridge is, is a highly ethnically mixed area. 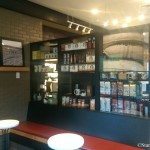 I would love to see Starbucks recognize that uniqueness with a multi lingual White Center Starbucks mug and store design features. As for Bainbridge, it is a very cold store and great that they are finally there!